These links are provided as a service. 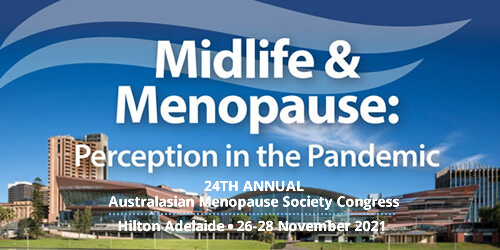 A non-profit organisation focused on promoting knowledge concerning climacteric and menopause. Founded to promote the study of all aspects of the climacteric in both men and women. Nonprofit organisation dedicated to promoting the health and quality of life of all women during midlife and beyond through an understanding of menopause and healthy ageing. RANZCOG is the leading standards body responsible for the training and education of specialists and GP obstetricians in obstetrics and gynaecology in Australia and New Zealand. Australia’s largest professional general practice organisation and represents urban and rural general practitioners. Connects, represents and trains over 15,000 Physicians and 7,500 trainee Physicians in Australia and New Zealand. Jean Hailes for Women’s Health is a national not-for-profit organisation dedicated to improving the knowledge of women’s health throughout the various stages of their lives. Links to peer reviewed journals containing articles relating to the menopause and menopausal health. Links to useful medical databases.